You might have seen him a lot during the five days of the Spring Agora 2014, answering questions politely and always willing to help. 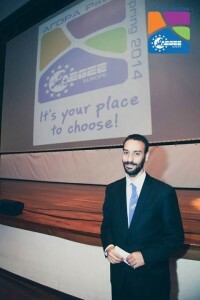 Costas Deltouzos, pillar of AEGEE-Patra, was elected member of the month of June. In his ten year career in AEGEE he covered several positions, both in the European and local level, but his time in the association isn’t over yet, he told us. The AEGEEan: Costas, tell us something about yourself. Costas: Well what to say about me… I was born in Athens 34 years ago, but I have been living in Patra for almost 15 years, so I kind of feel like this city is my home. I have graduated from Electrical and Computer Engineering department and I’m working towards my PhD in Computer Networks. As a true AEGEEan I really like to travel and meet people from all over the world. 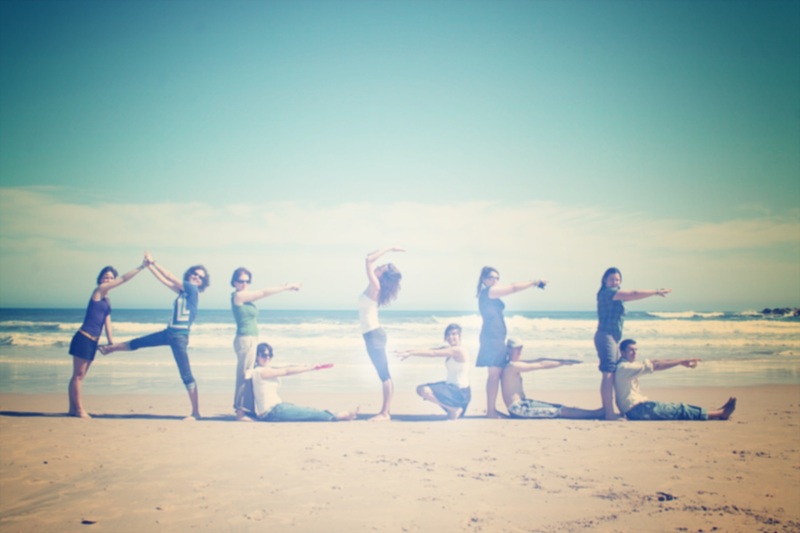 The AEGEEan: How, when and why did you joined AEGEE? Costas: One of my best friends went to a Network Meeting in 2002 (called Regional Meeting back then) and when he came back he was ecstatic about how great it was. I was curious about this organisation, but also a bit sceptical, so I started going to the weekly meetings of AEGEE-Patra. I decided to join AEGEE-Patra in April 2003 and I took part in the Summer University organised by Patra as a helper. I can definitely say it was a life-changing experience. The AEGEEan: How many Agorae have you attended? Costas: My first Agora was right after that Summer University, so it was Autumn Agora Zaragoza 2003. During these 11 years that I’ve been a member, I’ve missed more than half Agorae for various reasons. So I have attended… [calculating ed.] 9 Agorae and 4 EBMs. The AEGEEan: Who came out with the idea of organizing an Agora? And how did you end up being the main organizer? Costas: As the last Agora that took place in Greece was back in 2002, it was a dream of many Greek AEGEEans to bring Agora back to its roots. During these years several boards of Athina, Peiraias or Patra had considered hosting an Agora but unfortunately none of them decided to apply. It was already in 2012 that some “oldies” started looking at the possibility of hosting an Agora somewhere in Greece. Patra proved to be the best option, because the gym and conference center were in an ideal location. The core team was a mixture of old and young members from several Greek locals and I was chosen as main coordinator because I was the most experienced member from Patra. The AEGEEan: What was the most thrilling moment during Sping Agora Patra 2014? Costas: The most thrilling moment for me was the closing ceremony. It was the end of a long journey that started one year ago when we were given the responsibility to organise the Agora. After spending countless hours working for it and many sleepless nights, I was among the team of organizers and I was happy and relieved that nothing went really bad. The AEGEEan: If any, what was the most tiring moment you experienced during the preparation and the five days of the Agora? Costas: During the preparation we had calmer and busier periods, but in general things were going rather smoothly. There were some crisis moments where we stressed a lot, with the biggest one being a couple of months before the Agora when the administration of the gym announced us that we could not stay there. We started lobbying to change this decision and had drafted a plan B in case it would not work. Eventually, we managed to solve everything and the crisis was averted. During the Agora after spending the first two days (and few days before it) with almost no sleep, I was really exhausted. But after a good night’s sleep, I was up and running till the end of the Agora. We had our crisis, but we managed to solve everything. The AEGEEan: How did you manage to coordinate not only your local, but all the Greek locals while preparing the Agora? Costas: Since there were a lot of people involved from various Greek locals, gathering all of them in one place was really hard. 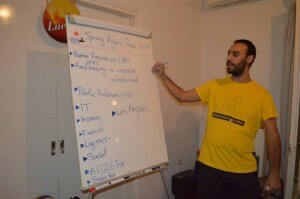 The RTC that AEGEE-Patra organized in December, served also as a meeting of Agora organizers, but we didn’t manage to have another big meeting. Seen the need to coordinate people geographically scattered, we established an HR team, whose task was to recruit members and assign them to the different teams we had. 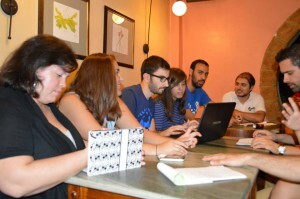 This team had members from various Greek locals and was leaded by the former President of AEGEE-Europe: Manos Valasis. During the Agora the HR team organised the shifts of the helpers. As you can imagine this team was one of the most important for organising the Agora. The AEGEEan: What are your upcoming projects? Costas: At the end of Agora, my term in the board of AEGEE-Academy finished as well, so I do not hold any board position anymore in any of the European bodies of AEGEE. But this is not the end of my AEGEE career. I am still serving the Academy as IT assistant and the SUCT as advisor/assistant. Also to keep myself even more busy, I joined the Key to Europe team as a Research and Statistics Manager.